This set features three triple oxygen products with CPR technology for glowing, radiant skin. Over time, environmental aggressors (pollution, airborne particulate matter, and smoke) can damage your skin and make it look older. 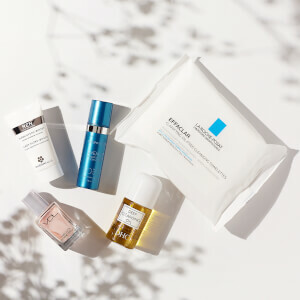 These products are enhanced with CPR Technology, a blend of powerful ingredients to help maintain and protect your skin for a radiant, glowing, youthful complexion. A skin reviving, daily, foaming cleanser that delivers a burst of O2 to the skin. Instantly revitalize, energize and supercharge skin’s natural defenses, resulting in healthy, glowing, youthful skin. Instantly brighten and hydrate tired, dull and sallow skin from the damaging effects of the environment, stress, and aging. Evens skin tone, softens the look of fine lines and wrinkles and promotes a luminous glow.